Beaducation: The Blog: The key to working with resin! The key to working with resin! The new Resin Foundry class is LIVE! This launch completes the Debbi Simon Class Trifecta. We are so excited to offer classes that cover the nuts and bolts of resin techniques. We are really resin-mad over here. 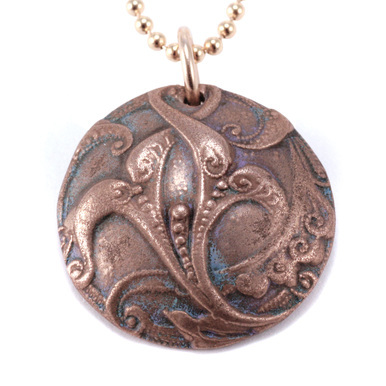 On our last post on 'what we were creating with resin,' Aisha Formanski made this mold that ended up paired with a stamped blank as a simple necklace. 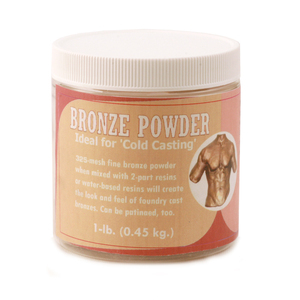 We told you at the end of that post, we would pull that mold out again and try some cold casting when Resin Foundry launched. So earlier this week, I grabbed the mold, resin and bronze powder and went to work. First off, that bronze powder goes a long way. It may seem a bit pricey, but you don't need to add that much to your resin to really make a nice solid piece. The amount used for this piece hardly made a dent in the jar. Second, using the molding compound to mold a metal object is a great way to reproduce multiples to use in your designs that look like metal. The key is so cool, and now it can be incorporated into different designs for a variation on a theme. I followed Debbi's clear instructions, presented in her class, and had the handout as backup. The Beaducation team gathered around as the mold was poured. It looked cool even when it was still liquid. The metallic resin key, wire wrapped and added to chain! To get to that finished piece, I popped the key out of the mold and trimmed away a little of the excess around the edges. 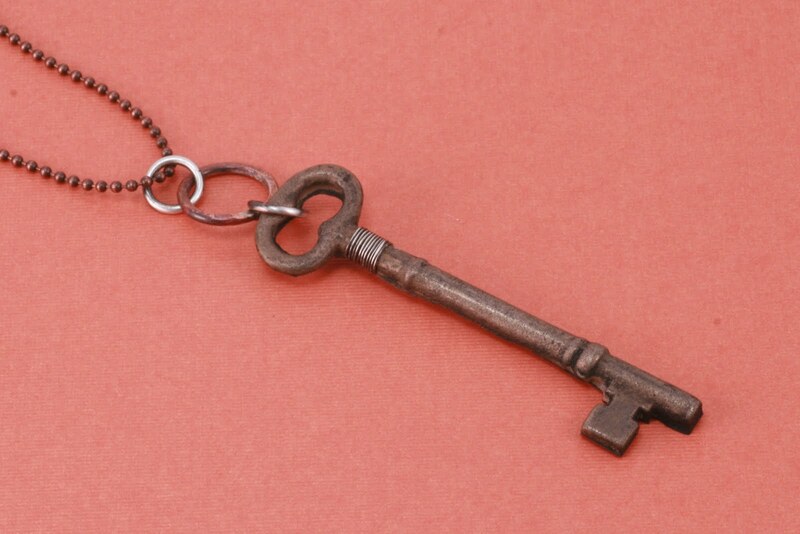 I used some of Debbi's finishing tips and there you have it: the finished key. It was a fun project and we think the results are spectacular. Let us know if you try it out. We'd love to see what you have made. This is just awesome! Looks like metal to me. That is amazing! I'll need to start collecting some items that I might want use for molds. I do have a lot of cool, old buttons that might work.